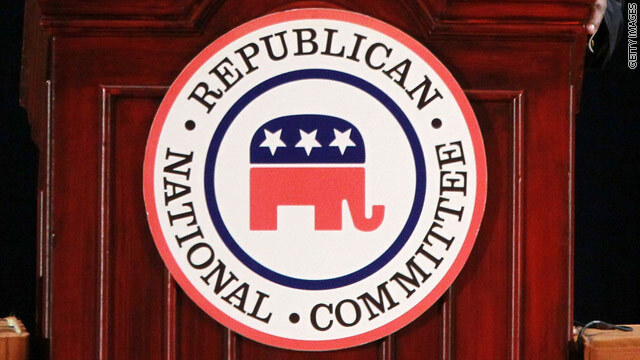 (CNN) - Las Vegas and Cincinnati withdrew bids to host the 2016 GOP convention, the Republican National Committee announced Thursday. Cleveland, Dallas, Denver, and Kansas City are still in contention to host the convention where Republicans will officially choose their presidential nominee. Site Selection Committee Chairwoman Enid Mickelsen said that Cincinnati and Las Vegas withdrew their bids. "While the committee understands their decision, both cities made a compelling case for 2016 and would make excellent hosts should they pursue efforts to host a future RNC convention," Mickelsen said in a statement. The RNC said Cincinnati dropped out of the process "based upon the criteria set forth by the RNC for the main arena" and Las Vegas withdrew based on criteria for an arena and "enough on-site preparatory time to accommodate the 2016 convention." Representatives from each of the cities have been courting the RNC's Site Selection Committee for the past few months, making their formal pitches in March. RNC staff visit each of the cities, and members of the Site Selection Committee are expected to choose the host city by late summer or early fall. A number of factors are considered as the Site Selection Committee determines which city will hold the convention, including the ability to raise money, adequate infrastructure, public perception, potential electoral benefits, and ease of transporting delegates and visitors to and from the convention hall. The Family Research Council, a conservative policy group, issued a statement applauded Las Vegas for withdrawing its bid for the convention. “We are pleased to learn today that Las Vegas has withdrawn its bid to become a host city – a decision that comes only weeks after the state party ignited a party-wide firestorm by stripping pro-life and pro-natural marriage language from its state platform," FRC President Tony Perkins said. I was pulling for Las Vegas. What news articles there would have been! Money, guns, radical Christians acting out, gambling, angry Tea Party folks. Reporters and comedians would have been in heaven. if only obama possessed the experience and competence that romney has in his pinkie finger, we'd be better off. too bad the country got lied to and manipulated into voting for obama . Welcome to the magical place where the Ferry Godmother sprinkles her GOP magic. Wow, just what we need! Maybe Governor Davis will offer the keynote? There are lots of cities fighting over the GOP Convention. Cincinnati, " You take it, we don't want it." Las Vegas " Hell no, you take it, we don't want it." Dallas, " Don't send those fools here. We have enough idiots already." No, no, you take it. I don't want it, you take it. I really couldn't say. But I want them to pay for it all themselves–no taxpayer funding. That goes for the Democrats, too. Their clubs, their dimes. I would like to see all the Republican primary candidates asked the following question. The answer would tell every American a lot about that candidate. Sir / Madam: Do you believe that the bible is an accurate reflection of actual events / history? Would you place the age of the earth closer to 10,000 years or several hundred MILLION years? I think the die-hard, literal, Christian evangelical voters deserve to know where these candidates stand on this point. So to do the thinking, practical, republican, independent and democratic voters. Let's move beyond, 'My faith is important to me" and into a query that will reveal the critical reasoning foundations of these people that would be president. Listen to Layla. No more public funding of these plutocratic pow-wows. There are a million other more worthwhile things that can be done with those "appropriations." Just asking, I'll answer: mittens' idea of prosperity was to continue the failed GOP policies that tanked the global economy and then sell the spoils to "investors." And BTW if corporations are people my friend, then what is the gender of Bain Capital? America would be better if political parties were abolished. There is no room for common sense because they have to stand on one platform or the other. Compromise goes out the window and so does effective government. On a brighter note the Veteran's Administration gave me a 3 dollar raise for messing up my back. Thanks! Darn it. Those bible thumping family value gun totting fools in Vegas would have been so much fun to see self destruct!